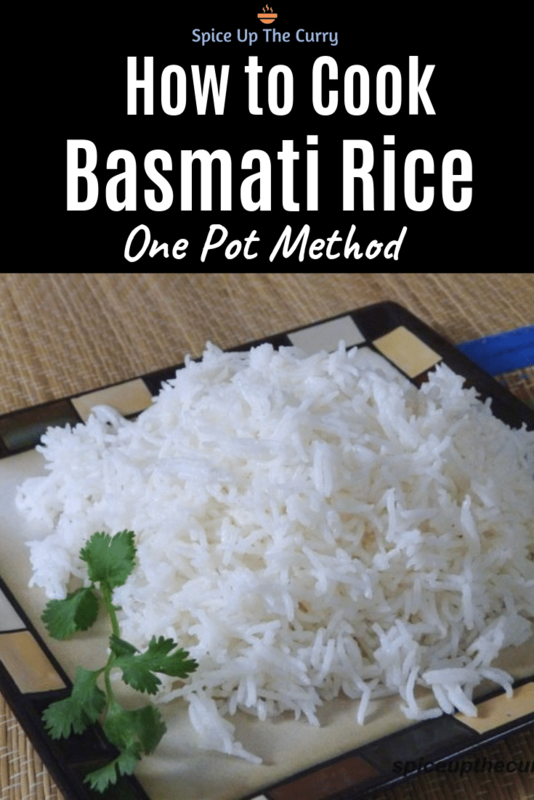 Basmati rice recipe – easy method to cook rice in a pan. You will get fluffy, each and every rice grain is separated by following this method. Cooking perfect Basmati Rice is tricky sometime. But with some care and tips, you will able to make perfect rice. I have explained each step in detail with what that step does. Please follow the steps while cooking basmati rice. I am sure you will never fail. By following this method, you will get soft, fluffy rice. Each and every grain is separated from other. You can cook rice in pressure cooker or in the deep sauce pan. As per my experience, when I cook rice in pressure cooker. I always get very soft, little mushy and sticky rice. So many people like this kind of texture. But today I am sharing how to cook perfect rice in a pan. When you cook rice in a pan, you will get soft, fluffy and separated grain of rice. Do not even think to skip a single step while making rice. Because each step will help in making the rice perfect. FYI, this is lengthy post. If you are not interested in reading about the cooking science then skip it and go to the step by step recipe below. Ok let’s start with each step and what it does scientifically. Why need to wash the rice? – This step removes dirt, impurities and polishing material (if it is used). And also reduces the starch and make cooked rice separate from each other (that means less sticky). Why need to soak the rice? – This step will help to reduce the cooking time. And allows the rice to expand into long grains and the cooked rice will be soft and fluffy. Why need to air dry the rice? – This step is necessary. Rice becomes soft in soaking step and after that this step will help the rice to firm up. So cooked rice won’t break. Why add lemon juice to rice? – You will not taste a lemon at all. But lemon juice helps rice to keep separated from each other. And cooked rice stays white after it is cooked and cooled. If you have noticed sometimes cooked rice becomes light yellowish after it cools. This lemon juice prevents it from coloring. 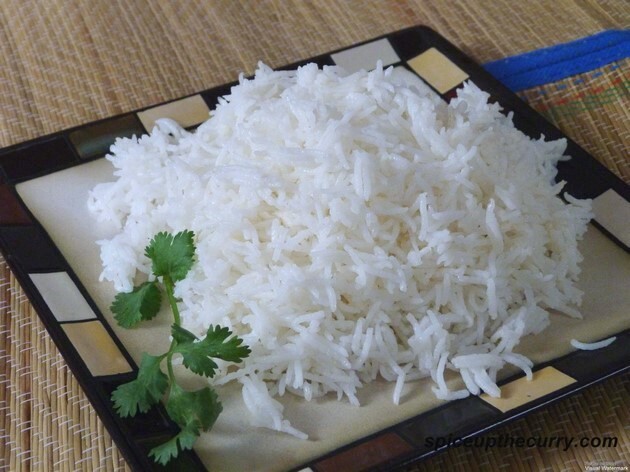 1) Wash basmati rice under running cold water until water runs clear. Soak rice in enough water for at least 10-15 minutes. 2) After 15 minutes drain the rice and let it dry in colander or strainer for 10 minutes. This step helps to firm up the rice. 3) After 10 minutes heat the ghee in a thick bottom saucepan on medium heat. Always use deep pan not shallow. 4) Once hot add rice and sauté them for a minute. 5) Add 2 cups of water, salt and lemon juice. mix well. 6) Let the water come up to a boil. Then cover it. And reduce the heat to the lowest possible heat. Cook it covered for 17-18 minutes. And then turn off the heat. 7) Let it stand for 10 minutes covered. This step is must. So rice get time to firm up and so rice won’t break while you stir. Then open the lid. 8) Fluff up rice with use of fork. 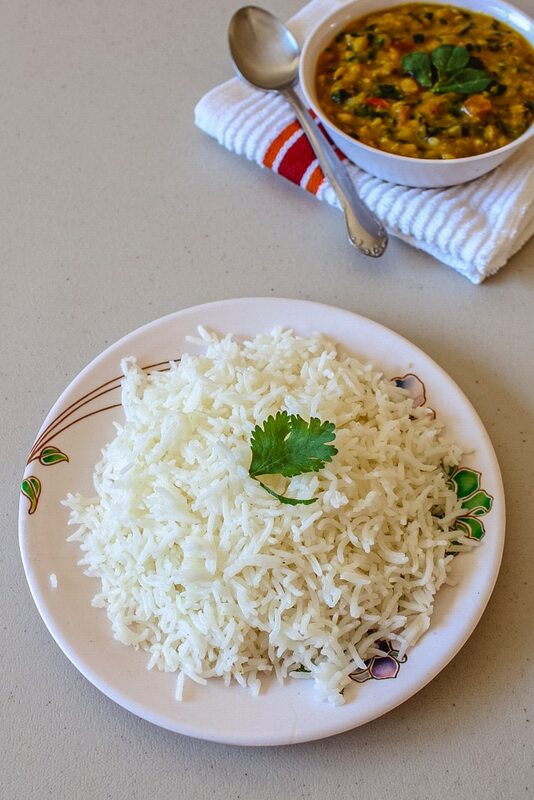 Perfect basmati rice is ready to serve. Or use in the recipes. Shelf life: Best served fresh. But you can keep refrigerated for 3-4 days in air-tight container after it cools completely. Serving suggestion: Plain basmati rice is ready serve. You can serve it with any curry, dal or rasam. Or you can use this cooked rice for making many spiced rice dishes. Always use cold water to wash the rice. And warm or room temperature water to soak the rice. Always use deep pan not shallow. Air dry the rice for 10 minutes after soaking will help to firm up the rice. Always let the cooked rice rest for 10 minutes without opening the cover. So rice get time to firm up and so rice won’t break while you stir. 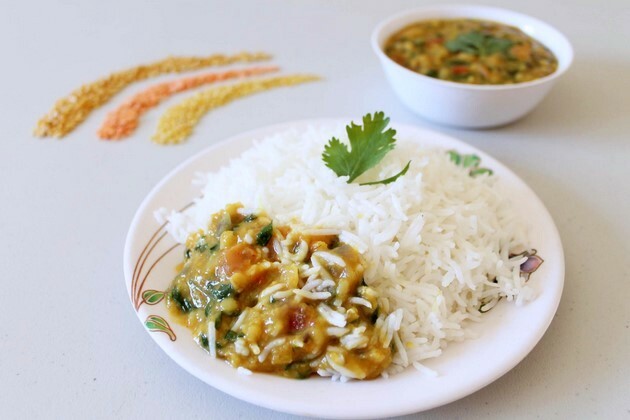 Clarified Butter (Ghee) – ghee gives a little bit rich taste to the rice. If you are making it for guests or party or special occasions then add ghee. So it gives nice flavor and taste to the plain rice. But if making this rice for your everyday meals then skip the ghee. And make it healthy. You can use oil in place or clarified butter. 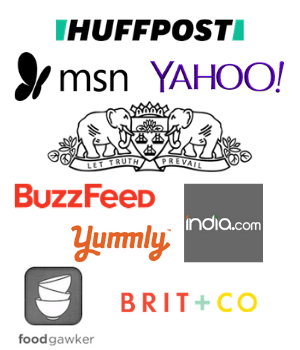 The complete guide on how to cook basmati rice. You will get fluffy, each and every rice grain is separated by following this method. Wash basmati rice under running cold water until water runs clear. Soak rice in enough water for at least 10-15 minutes. After 15 minutes drain the rice and let it dry in colander or strainer for 10 minutes. This step helps to firm up the rice. After 10 minutes heat the ghee in a thick bottom saucepan on medium heat. Once hot add rice and sauté them for a minute. Add 2 cups of water, salt and lemon juice. mix well. Then cover it. And reduce the heat to the lowest possible heat. Simmer it for 17-18 minutes. And turn off the heat. Let it stand for 10 minutes covered. This step is must. So rice get time to firm up and so rice won’t break while you stir. Then open the lid. Fluff up rice with use of fork. My rice came out perfect!! Thank you for such detailed instructions and pictures. My question.. Can I double or triple the recipe and it come out the same? Happy to hear that it was helpful. yes you can double or triple the recipe. The outcome will be same. Doesn’t lemon boiled with rice spoil it after 3-4 hours? Actually rice stays good for 2-3 days in refrigerator.